The Rules below were taken from the official rules page on the IYYF website. These are the current rules sanctioned by the IYYF. The freestyle time begins to run at the moment the music starts. The music will be stopped between 3:00 and 3:01, regardless of whether the beginning of the song is silent. If the song is shorter than 3 minutes, the music will stop at the end of the track. In the case of a music issue such as an audio equipment malfunction occurs mid-freestyle, the contestant may choose to continue the freestyle for the rest of the 3 minutes. The contestant may also choose to stop and restart the routine after the issue has been fixed. If the contestant decides to stop the freestyle routine due to a music issue, with taking the audio equipment and CD condition into consideration, the contestant can discuss with the head judge and make a decision from the following. Take the evaluation up to the point where the music has stopped as the contestant’s final score, without restarting the evaluation. A contestant is not permitted to play yo-yo on the stage before the music starts. Also, they cannot start their freestyle with a mount or sleep before the music starts. The performance must start with the yo-yo in the contestant’s hand. We request that contestants refrain from yo-yoing of any kind during the standby time between getting on stage and when the performance begins. In addition, adjusting standby yo-yos is not permitted, and should be taken care of before the contestant gets on stage. When the 3 minutes performance is finished, the contestant must immediately stop playing. 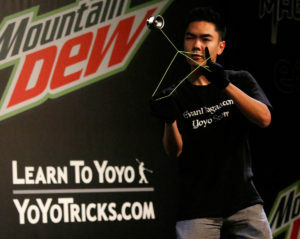 At the end of the freestyle, if the contestant is unable to rewind the yo-yo(s) back to their hand(s), they will receive a deduction. This and other negative points will still be counted until the contestant stops the yo-yo, or otherwise leaves the stage. Actions by the contestant that give the impression of the end of the performance (bowing, etc.) will be considered to indicate that the freestyle is over. In the case that the contestant resumes play after that action, deductions will be applied. In the case of the music being stopped or ending before the planned music duration, the contestant must immediately notify the contest staff or the judge. Restarting the evaluation cannot be requested after the results have been announced. On the other hand, if the music continues to play after three minutes, and the contestant continues to perform more than three minutes, the contestant may be subject to disqualification. The contestant is responsible for understanding the duration of their music, and ending the performance within three minutes. If when the music starts the volume is low, the track starts in the wrong place, or the wrong music is played, the contestant must immediately stop the performance and notify the on-stage staff or judges. Please refer to “Music used in performance” for guidelines and submission procedure for the music used in the performance. All contestants must conduct their freestyle with the safety of the audience, the venue, the equipment, and themselves in mind. Contestants performing in an unsafe manner may be disqualified at the discretion of the judges. The head judge also reserves the right to immediately disqualify a contestant who behaves or speaks in an inappropriate manner on stage. This includes uttering obscenities (such as F***), wearing inappropriate or obscene clothing, and any acts of public indecency. In the case that a contestant is unsure whether their planned actions on stage are appropriate, they should consult a judge beforehand to avoid disqualification. For the sake of safety and fairness, contestants are not allowed to leave the stage during their freestyle. If a contestant leaves the stage, that moment will be considered the end of the performance. This includes leaving the stage to pick up a yo-yo that has fallen from the stage. Due to the potential hazard of falling off the stage, sitting or standing over the edge of the stage is also prohibited and subject to disqualification. During a freestyle, only the contestant is allowed on stage. Assistants to the contestant are also prohibited during the performance. Disturbing contestants (through shouting, taunting, or other inappropriate actions) before, during, or after their freestyle is strictly prohibited, and may result in the disturber’s disqualification or barring from entering future contests in the league. On the stage, the organizer may mark a box (6 meters wide x 4 meters depth) on the stage with taping or another material. If the stage is smaller than that, it will not be the case. The purpose of the box is to prevent the contestant from being outside of the lighting area, out of the judges’ sight, or outside of the safe area. Therefore, contestants must try to stay in the box while performing. If the contestant is outside of the box, there is no deduction or penalty for that. However, we cannot guarantee points will not be lost due to being out of view of the judges. There are no special restrictions on the maker, type, parts or modifications used for the freestyle yo-yo. Safety is still a prime concern, so any modifications that compromise the safety of the contestant, venue, or audience may result in disqualification. A contestant may only use the yo-yos they personally bring with them on stage. During their freestyle, a contestant may not receive or use yo-yos from audience members. In divisions including (but not limited to) 4A and 5A, if a yo-yo falls off the stage, it may no longer be used. Even if a yo-yo is returned to the stage by an audience member with good intent it may not be used. In the case that a contestant uses that yo-yo, positive points will not be scored during its use and negative points will continue to be subject for deduction. Contestants are required to use their yo-yo(s) as a yo-yo. In the case that a contestant performs in a style that is not subject to their division, that part of the performance will not be scored (however, negative points may still be applied). For example, if off string elements are used in any other division than 4A they will not receive points. Due to the yo-yo tangle or yo-yo change (discard) you can use more total yo-yos than allowed below. In the case that yo-yos exceeding the permitted number are used (or held) simultaneously, all tricks subject to positive scoring and positive evaluation will not be counted. The contestant is only allowed to bring yo-yos, strings, counter-weights, gloves (or equivalent items), a backup music CD for competition, and a tray provided by contest officials onto the stage. Maintenance tools, performance props, and any other items are strictly prohibited. This includes (but is not limited to) items such as bags, cases, cloth, jackets, extra clothing (other than what the contestant is already wearing), and tables. Contestants bringing prohibited items to the stage are subject to disqualification. However, for the purpose of protecting valuables (such as a bag, wallet, cellular phone, etc. ), a contestant may leave their belongings at the side of the stage, but is prohibited from interacting with them. Freestyles will be graded on two criteria: Technical Execution (TE) & Freestyle Evaluation (FE). Judges are assigned into two groups. Each judge uses two clickers, one each for positive and negative points. These are added together for the final TE score, which is 60% of the total possible score. Judge takes only succession, difficulty, risk and variation of each trick performed. Originality, amplitude, long-sleep, continuity, uniqueness, style, choreography are NOT subject to be scored here. Yo-Yo(s) must start spinning with the power coming from the unwinding string. All tricks must be performed while the yo-yo(s) is spinning. If the yo-yo is not spinning no points will be counted. Yo-Yo(s) must return to the contestant’s hand with fully wound string(s) with its own spin power. All tricks/moves must utilize both yo-yo(s) and string(s) in order to receive points. When the contestant performs advanced level trick elements, points will be given for each element. All points are given per trick element. Here are some examples of trick elements in each division. All other appropriate moves for 1A Division that come with a certain difficulty. All other appropriate moves for 2A Division that come with a certain difficulty. All other appropriate moves for 3A Division that come with a certain difficulty. All other appropriate moves for 4A Division that come with a certain difficulty. All other appropriate moves for 5A Division that come with a certain difficulty. Tricks such as Gerbil and Rancid Milk are seen as a group of trick elements not as a trick and each trick element is scored individually. Generally, the same trick elements performed in a freestyle will not be scored the second time. However, high risk repeating trick such as Suicide combo, or same trick elements in a different trick combo can be scored the second time with some reduction of base points given for the trick element. Dancing, miming, juggling, isolating, acrobatic moves, spintop skills with the yo-yo, or doing any of the above while performing basic trick elements are not subject to be awarded any extra points coming from those non-yo-yo skill sets as Technical Execution. Any trick miss and control miss is subject to deduction. Trapeze miss, control miss, catch miss, corkscrew in looping. All deductions are counted per yo-yo. If the contestant has a mistake in each hand (with two yo-yos), the contestant will receive two negative points. Yo-Yo stop, or yo-yo change will be counted in Major Deduction stated below. Judges (Group B) evaluate eight categories from 0 to 10 points, total 80 points, then they will be halved to make the 40% of the final score. They will not be normalized between judges. Entire three minute performing time is subject to evaluation. Generally, the entire three minute performing time is subject to evaluation. However, even before and after the three minutes, any inappropriate action or devaluation will be counted for the categories. The table above is a basic grading guide. The following are the eight categories to be scored as Freestyle Evaluation. How few are the mistakes? Is the routine performed as planned? # It is not about the mastery or perfection of each trick. It is about the completion of all tricks. If the entire routine went well without any mistakes, it will have a full score. Even if the tricks are smooth and well-practiced, if the player has many mistakes, it will be low. Also it does not require any difficulty or risk to be seen as full score. It is evaluated as perceived by the judges. Are the tricks executed in a clean, fluid and controlled manner? Do the transitions into and between trick elements demonstrate mastery and control of the yo-yo style? Does the yo-yo land and exit the string cleanly? Is each trick well-practiced to the level of mastery? Were the tricks refined well to be presented? # It is not about how smooth the routine is, nor the number of mistakes. It is simply how good the control of yo-yo and string is. Does the routine show a well-balanced mix of trick styles? Does the freestyle have a good level of variation/diversity of tricks presented? Did the contestant show many styles and aspects of the division’s style? Did the contestant make good choices for trick order to show the tricks effectively? Was each trick style mastered at high level of skill? Was the freestyle not filled with the same or same-looking tricks the whole time? Does the contestant use the stage and space effectively? Is the trick performed big and easy-to-see? Were the small moves or subtle actions focused to gather the audience’s attention? Music Use concentrating on hitting sounds, beats, tempo, rhythm, cues, etc. Are there any cues or points that show a clear sense of choreography? Are the trick and body moves matched with the music? Are the tempo of tricks/combos and music rhythm/beat matched? Music Use concentrating on phases/stages, mood, imagery/atmosphere, tone, routine, theme, construction, etc. Does the music seem to fit the freestyle theme? Are body moves and trick choice matched with the music? Did the freestyle have scene changes, peak control, or climax? Does the player demonstrate a mature professional presence before, during and after the freestyle? Does the player demonstrate total control of all aspects of the performance? Is the contestant aware that he/she is on stage and being seen? Are body moves well refined? Does the contestant appear to be confident/professional? Was the show appropriate to be seen by a general audience? # Sticking tongue out, tilting head when making a mistake, or making a bitter face in hard time, and ignoring the audience unintentionally are all considered to be bad examples for this category. Was the performance staged and constructed in a manner to add to the interest level of the freestyle? How entertaining was the freestyle presentation? Does the freestyle have a story or theme? Is there any effective usage of an outfit? Is it a performance to attract and entertain the audience? # Interesting or Entertainment Value that comes from pure amazing yo-yo skill will not be counted here. Added work toward making the freestyle interesting (Showmanship) on top of the yo-yo tricks and skills is required here. These deductions will be subtracted after all the scores above are summed. Yo-Yo stop (restart), Yo-Yo discard (change), Yo-Yo detach (string cut) and dangerous play will be subject of this deduction. Any stop of yo-yo spin with string fully unwound will be subject. Even if the yo-yo does not stop completely, if you need to help the yo-yo to regain its spin with your hand or string, it will be considered as a yo-yo stop. However, contestant can hand-wind yo-yo with half-wound string or add more spin to the yo-yo spinning fast enough to be able to wind by itself without this deduction. Any intentional or planned yo-yo stop will be seen as a yo-yo stop with the deduction. After the yo-yo stops and the contestant adds the spin to the yo-yo then fails to wind and it stops again, it will be counted as another yo-yo stop to be deducted. Any yo-yo discard will be subject. Leap of 4A and 5A yo-yos, or any yo-yo change or stop using the yo-yo will be counted. 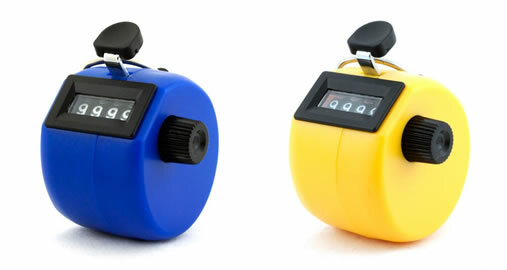 Even if the contestant comes back to the yo-yo to reuse it, if the contestant uses another yo-yo once, the yo-yo discarded will be counted. Any intentional or planned yo-yo change will be counted as a yo-yo discard. However, if the discard happens after the yo-yo stops in one instance, only the discard will be counted and not a yo-yo stop. However, if the contestant tries to restart before the yo-yo change, both a stop and a discard will be counted. If you want to show both tricks with 1 and 2 yo-yos in 4A or 5A without any deductions, you need to show 1 yo-yo tricks first, then add another yo-yo to show 2 yo-yo tricks. If the contestant cannot make the yo-yo come back to the hand fully wound and ready to throw, both a stop and a discard will be counted as a discard (minus 3). The string can have knots or be jammed, yet it needs to be fully wound to avoid the deduction. After the music stops, if the contestant fails to wind the yo-yo due to a yo-yo stop, it will be counted as a discard. Also at the moment the music stops, if the yo-yo is not spinning and requires a restart it will be counted as a discard. If the contestant does not have a yo-yo in their hand ready to throw, for example: a yo-yo is in their pocket, on the floor, in the hat, or string detached from the finger like after Rocket, all will be seen as a discard. The deduction will not be counted twice if the player does not have a yo-yo after having a discard. All Performance End Deductions will be the same, even if the contestant decides to end their routine before the music ends. Any dangerous play or any play that can cause any damage needs to be avoided at all cost. Therefore, judges will be very strict to those actions even if it is unintentional. Yo-Yo coming apart, string cut, or string detach for 1A, 2A, 3A, 5A (yo-yo and weight both) will be counted as a Yo-Yo Detach (Minus 5). Any intentional string cut like “Break the String” trick will be the same. However, unscrewing by hand to fix the string while the yo-yo is not spinning will be allowed without the deduction. Changing yo-yo(s) after a String Cut will be counted as only a Yo-Yo Detach (Minus 5), not both penalties at the same time (Minus 8). Including 4A and 5A, if any yo-yo jumps into the audience area behind the judges’ table will be subject to disqualification. This will be discussed after the routine is over. A Yo-Yo jumping into the audience with enough speed, height or dangerous trajectory will be subject. Even if the yo-yo bounces on the stage once, it will be seen as the same. A Yo-Yo rolling off from the stage will be allowed without disqualification. All those deductions are per yo-yo/string. If two yo-yos are tangled in one incident and need to be changed, it will be 6 point deductions (3 point x 2 yo-yos). At the same time, any mistake or loss of control is counted as a deduction in Technical Execution, separately from Major Deductions. Technical Execution will be normalized (to eliminate the unevenness among judges and let them have the same portion to contribute to the score). All other scores will not be normalized. Depending on the judges’ availability and skill, the counter(s) of Major Deductions can be different by contest or division. The final score will be the sum of these three categories. When a trick or move was difficult to identify in the live freestyle, or could not be seen because of blind spots, judges can recheck the decision for Major Deductions by watching a video recording. If a judge(s) could not keep the score fully valid due to an accident or malfunction of judging devices, the judge(s) can rejudge or reevaluate the freestyle with a video recording under the supervision of the head or lead judge after the division is over. Judges will determine the winner with the descending order of TE and FE. If after comparing two numbers and there is still a tie, the judges will call it as a tie or suggest a better solution. All contestants are expected to read and understand the entire rules above.